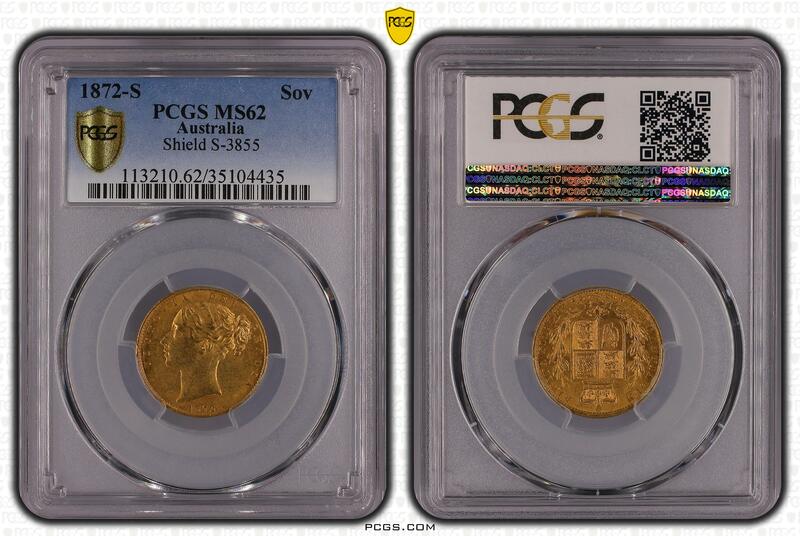 Victoria gold "Shield" Sovereign 1872-S PCGS MS62, Sydney mint, KM6, S-3855. 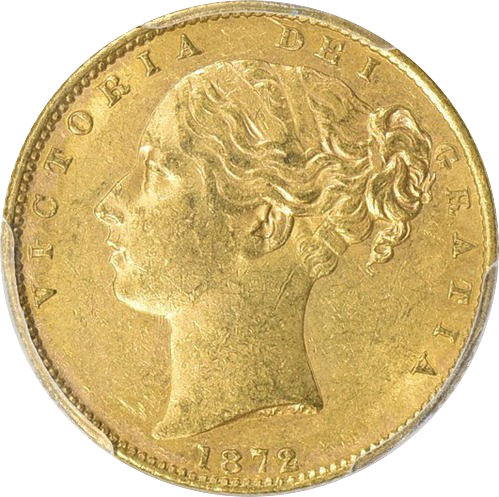 The 1872 is the scarcest date in the Sydney Mint Shield Reverse Series and it also has the highest catalogue value in Greg McDonald's pocket guide. This specimen is tied with 4 more at PCGS for TOP POPULATION.